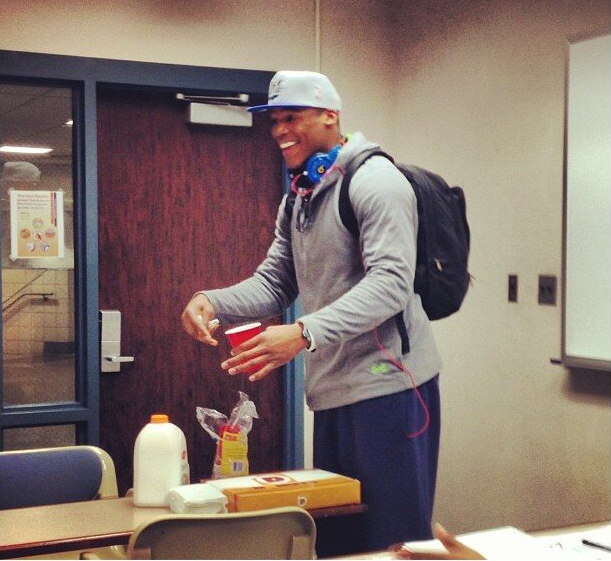 As if his classmates needed even more reason to smile at sitting by Normal College Student Cam Newton, he’s bringing them D-Squared donuts—glazed chocolate, sprinkled, a few bear claws—and orange juice. There were 40 of them, plenty for the whole class and even folks out in the halls. He was passing them out. 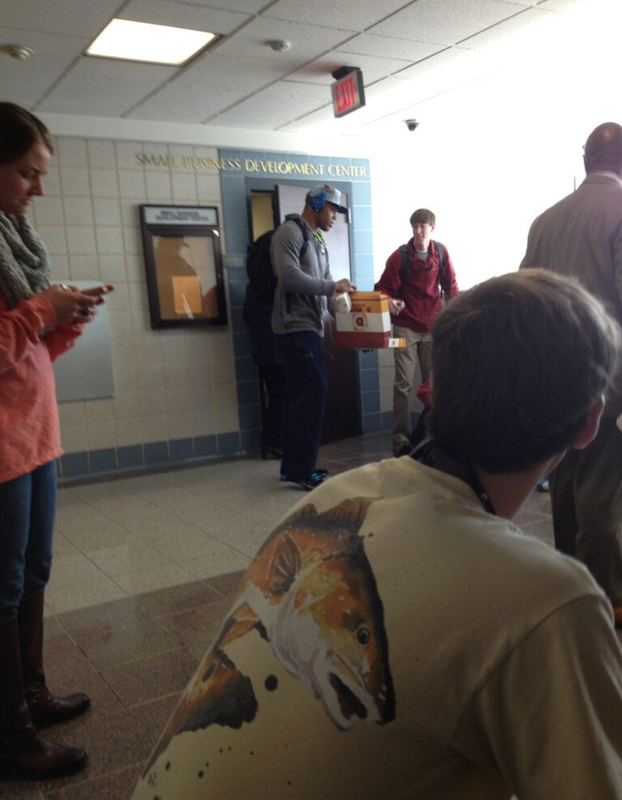 Just Cam passing out donuts in the hall. Just college. Cam handed sophomore Lindsay Klocko her donut out in the hall. See Johnny Manziel? It’s easy. You don’t have to take classes online. Just bring donuts. Related: Auburn Phi Mu says Singing Valentine to Cam Newton started as a joke, but the invitation to formal still stands. I have this vision of Spicoli from Fast Times at Ridgemont High ordering pizza to the classroom. what are you talking about Manziel about online classes? 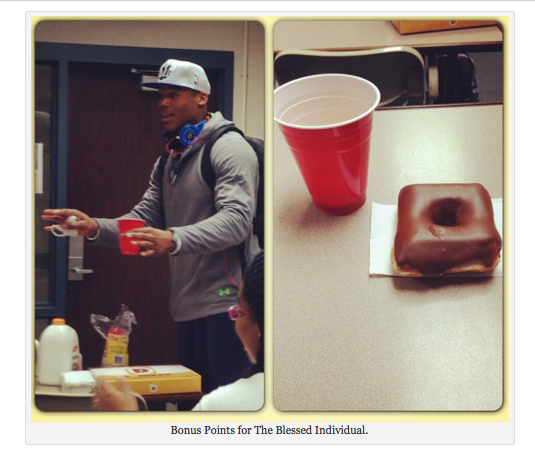 Cam took online classes while he was playing football at auburn. I don’t think either has anything to do with “celeb status” as much as it did staying eligible. Censor me if you want but if you do you’re only making it look worse. Coach Chiz….right….lol. Funny how the turds have to have so much Auburn intake to make it through the day? Go away.